RUGBY league star turned actor Keith Mason surprised the owner of a luxury jewellery company in Batley when he dropped in for a visit. 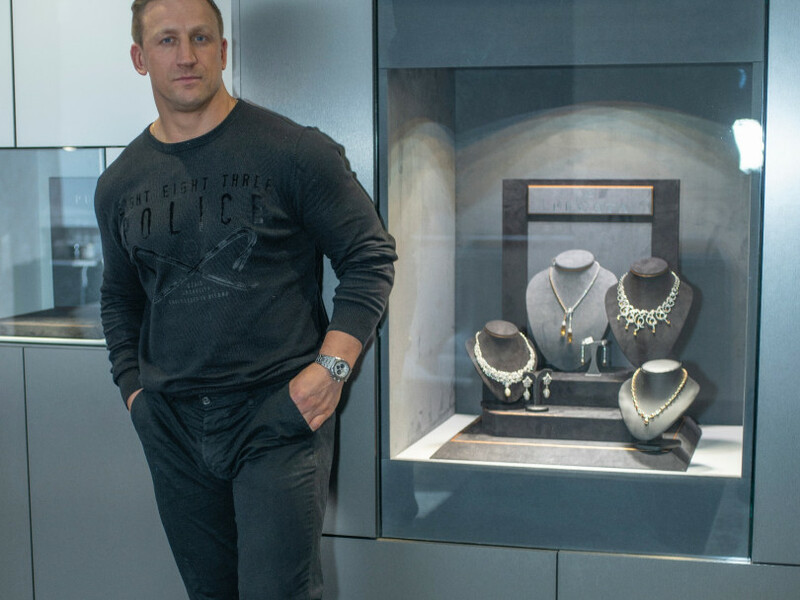 The Dewsbury-born former Super League and NRL player was given a guided tour of the Pugata boutique and showroom by owner Zak Patel and viewed a collection of diamonds. After retiring from the game, Keith, 37, has appeared in the film Skin Traffik, alongside Mickey Rourke and Daryl Hannah, TV hit Peaky Blinders and the Guy Ritchie movie Knights of the Round Table: King Arthur. Pugata is based at Batley Business & Technology Centre and said Zak: “Keith was very talkative, a nice guy, really genuine, just like an everyday person. “He was very impressed with our collection of jewellery – and the diamonds in particular.